The following templates are for you to download, print and duplicate. 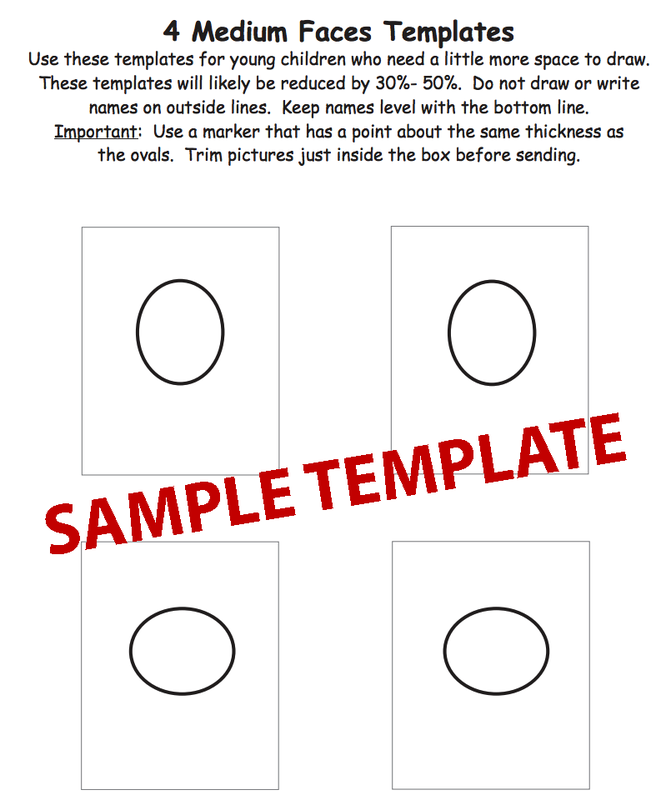 We have provided three sizes of faces templates in two different styles to choose from, depending on the wants and needs of your students. If your students do not have the motor skills to draw in the “regular size” template, use one of the larger ones. The “9 Regular Templates” represent the approximate actual size we use for most shirts. The larger templates need to be reduced after the drawings are made. Please see the directions at the top of each page. Shape & Figure templates are only available in one size. *With the blank templates, choose your size and put nearly any design in the box you would like. With these, you are not limited to a “faces” only t-shirt! Please, no copyrighted artwork, or mockups of copyrighted artwork. PLEASE NOTE: The size of the imprint is the same for all shirts in the order (youth and adult). We reserve the right to reduce the size of the faces in order to fit all pictures in the printing area. Printing area is determined by the smallest shirt size in the order, and is affected by the number of drawings in the layout. Most layouts will be up to 10.5” x 10.5”.